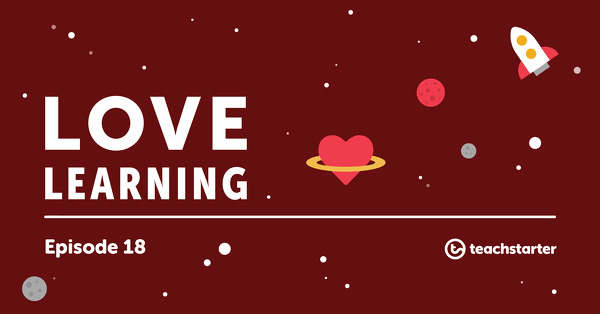 Clear, concise teaching resources perfect for your classroom. Teach Starter is the tool that makes it easier for teachers to focus on what really matters - teaching! Our educational posters, worksheets and classroom games are professionally designed to engage your students. There are many teaching aids available to help improve your student’s learning. Educational posters are an excellent teaching aid that can help children with spelling & comprehension, mathematics, language, geography, science, history and many more subjects. Educational posters are an excellent source for students to read and learn from when focusing on a specific subject. It is proven that visual learning is one of the most popular methods of learning that people find most effective. At Teach Starter, we have used this knowledge and developed a number of educational posters that help children learn through the use of visual aids. Addition Counting Strategies: This poster comes in a set of four examples of counting strategies. Writing A… Writing Styles Poster Pack: This writing style pack includes 14 different writing style posters. 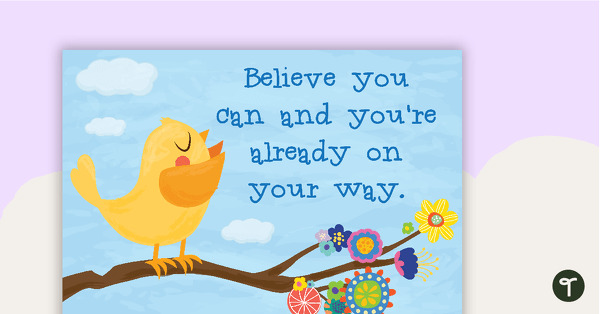 Believe You Can And You’re Already On Your Way Poster: A motivational poster for all ages. Making Connections With Text Posters: These posters display the concepts of text to self, text to text and text to world. 5 Star Writing Poster & Checklist: This poster highlights five important steps that should be considered when writing. At Teach Starter we are committed to providing teachers and parents with vibrant educational posters to assist with the learning process. Whether you need a poster to motivate your class with a positive affirmation or whether you want to remind your classroom of lessons you previously taught, Teach Starter can help. Browse our broad range today. Proven, high-quality teaching resources trusted by over 100,000 teachers just like you. "If anyone is tossing up whether to join, trust me, just do it! The resources are high quality and I have more than got my money worth with my subscription. Plus, they are always updating with new resources - I love it! You won’t be disappointed."